It makes sense that physicians want to DO something to help their patients get better. That’s what we went to medical school for, right? Sick patients tend to expect the same from their doctors; a quick fix for their illness. One of the hardest things to learn is that sometimes the best thing we can do is to get out of an illness’ way and let the body do what it does best, heal itself. How many times have you heard your doctor say, “it¹s a virus” or “you’re fine”. How many times do you feel dissatisfied when you leave the office without a prescription? The fact of the matter is that doctors prefer to give medicines to help you get better. It’s very easy to say, “you have strep throat, here is an antibiotic and you should feel better in a day or two”. It’s a lot harder to tell a parent that her sick child has a virus and that the best thing she can do is give supportive care until the child fights it off. One of the hardest things to learn is that sometimes the best thing we can do is to get out of an illness’ way and let the body do what it does best, heal itself. The hardest thing your doctor does is diagnose your medical problem.The symptom of a stomachache can be caused by anything from appendicitis to gas. A headache can be caused by anything from stress to a brain tumor. When you visit the doctor in Riverhead, NY or the location near you, you should focus on how thoroughly your doctor listens to you, examines you and explains to you what he is thinking. Only then can he prescribe a solution. When your doctor says “you have a virus” or “I don’t find anything”, it doesn’t mean that you are not sick. Understand that your doctor can be frustrated that he has nothing to offer you to get better. He would LIKE to give you a medicine but sometimes a medicine is not indicated and all you need is “tincture of time” to get better. Do not feel cheated if you do not get a prescription. Sometimes it takes a doctor more time and energy to explain an illness and why antibiotics are not needed. Doctors do not want to withhold antibiotics. When we choose not to give an antibiotic it is because we do not believe it will help, and in fact, in many cases it will make the situation worse. Certain viral illnesses react badly to antibiotics. 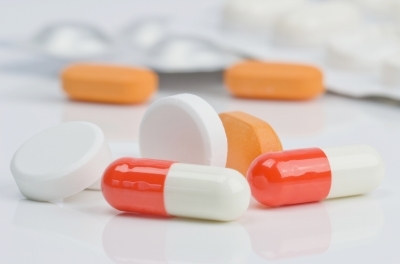 Antibiotics can cause allergic reactions and gastrointestinal side effects. These lead to significant long-term health problems. Every time doctors prescribe a medication, they have to weigh the risks and the benefits. Everyone who watches television has heard the disclaimers at the end of medication commercials. “This medication can cause blah blah blah. If you feel X,Y,Z stop taking this medicine and call your doctor immediately.” Even routine fever control medications have possible side effects. It stands to reason that if the doctor is certain your illness is going to get better without medication then he will not want to take the chance of exposing you to a medication side effect. On the flip side, don’t be afraid to take antibiotics when indicated. Recently there has been so much bad press about antibiotics that people seem afraid to use them at all, especially in the pediatric world. Antibiotics are absolutely indicated to treat bacterial infections and other medical problems. Let your doctor determine whether or not you have a bacterial infection. Remember that you and your physician are partners in your health. Don’t stop going to the doctor because you think you won’t get medication. Remember, it’s the diagnosis that you really need your doctor for. Make sure you keep the lines of communication open. Explain your concerns, let your doctor explain his and make sure you understand and agree with his recommended treatment plan.